”I think there is a real market need for a fanless tablet or 2-in-1 with PC-level performance,” says Moorhead. 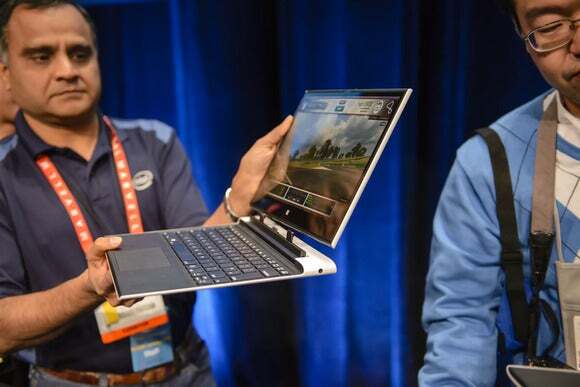 Even still, a low-powered Haswell processor will blow the pants off both ARM chips and Intel’s own Atom CPUs, performance-wise, bringing true Ultrabook-like chops to a truly tablet-style design. Intel’s Haswell-based hybrid reference design, as shown at CES 2013. It’s skinny. Agam Shah of the IDG News Service contributed to this report.